I don’t agree with the underlying assumption of Alain de Botton’s recent work that art’s value lies in what it is for, the purposes it serves. As an expression of human capacities, art is valuable in itself regardless of whether it can be used for some purpose. But that doesn’t mean that art doesn’t sometimes serve a purpose. 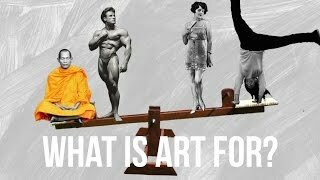 So I quite like this animated video by de Botton which lays out 5 purposes that art serves. The first one is especially noteworthy because it is often ignored. Art encourages hope. As Botton points out “it is an obvious but striking fact that the most popular works of art in the world show pretty things—happy people, flowers in spring, blue skies.”.He goes on to argue that without the “pretty things” depicted in art we are in danger of slipping into despair. Prettiness is an “emblem of hope” he asserts. My fellow academics along with many people in the art world simply laugh at such sentiments. They would argue that prettiness has nothing to do with genuine art that must, if it is honest, represent all that is painful and troubling in human life as well and have meaning that runs deeper than its surface appearance. And of course much art is not pretty. But still Botton has a point that the art that the public seems to crave, that survives the centuries in the public imagination, is pretty. The popularity of impressionism is evidence for the thesis. Thus, it would seem that for most people, who are not art experts, perhaps art is an emblem of hope. 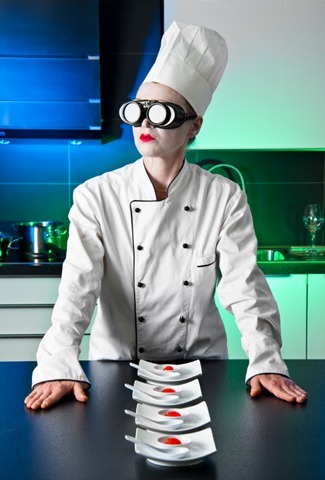 This perspective is important in the question about whether food can be art. Food must be delicious in order to qualify, and I take it “delicious” is an analogue of “pretty”—its sensory surface is pleasurable. Good food is also an “emblem of hope”. 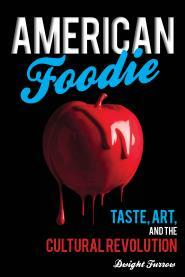 Why Care About the Art of Food and Wine? Our capacity for generosity rests on inspiration, and beauty is among the things that inspire us most of all. As life in our increasingly corporate world begins to resemble the bleak cityscapes of our worst science fiction fantasies, the search for meaning becomes our abiding preoccupation. The joining of art and life is one way to restore that meaning, and art and life come together rather nicely in the culture of the table. In the not too distant past, Friday was the end of the work week, 5:00 was the end of the work day, loyalty mattered and bosses cared. Some things were just too valuable to trade off for greater efficiency. Today we work 24/7 just to stay ahead of the robots that don’t complain about being used as efficient producers of profit . The intrinsic value of things has fallen by the wayside. A life devoted to beauty is one way of recapturing that sense of intrinsic value. But that beauty cannot be limited to the gallery or the stage. If meaning and value are to be recaptured in our lives it must penetrate everyday life. And perhaps nothing is more ubiquitous in everyday life than food and drink. The means of transcendence are as close as the cupboard or the refrigerator. The experience of transience and of the mortality of things can be profoundly moving and in itself a kind of aesthetic experience. Both Japanese art and environmental art depend on it. It is also in part what gives performance art its character. I recall many years ago attending a performance of Tchaikovsky’s Piano Concerto #1 by the Rochester Symphony Orchestra. (The orchestra’ members were often from the highly regarded Eastman School of Music and thus enormously talented.) One of the more meditative sections—with the audience silent, and the pianist really on his game—I found especially moving despite the fact that I had heard the passage many times before. It struck me that this experience—the perfect realization of the passage and my listening to it under optimal conditions—may never happen again. That recognition of the impermanence of the experience gave it greater depth and weight. So it is with all performance art—the performance lasts a few moments and then it is gone. Of course, a similar performance may recur, but that singular moment of connection when that performance and that listener at that moment are in sympathetic union is both rare and vanishing. Such losses are routine in improvisational jazz—the piece may quite literally never be played again in that way. That recognition of the pathos of impermanence is part of the appreciation. 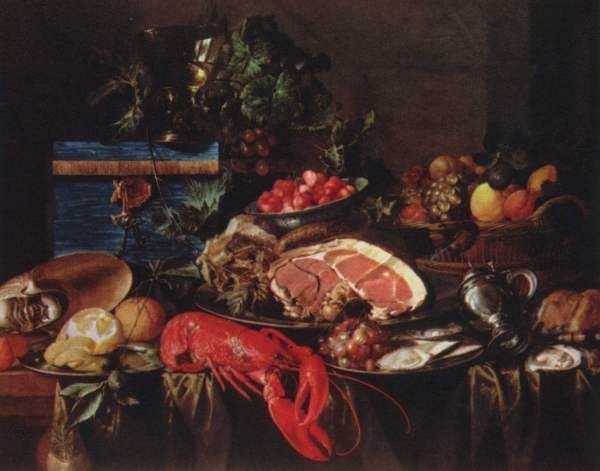 So I’m puzzled when people claim that food cannot be art because it must be consumed to be appreciated, and thus lacks the permanence of genuine works of art. To endorse permanence (or, better, something like semi-permanence or stability) as a necessary condition of art is to exclude that performance of Tchaikovsky from the realm of art, which of course is a reductio of the argument. The reasons given for such a position are that works that disappear in their performance cannot be re-evaluated over time. Thus, we are unlikely to have an objective view of them since any evaluation will inevitably be caught up in the vicissitudes of circumstance. As a consequence, no such work can withstand the test of time and achieve the greatness of works appreciated over many generations. But why should any of this matter? The impact of the work is not reduced by its impermanence. Its impermanence is in part what is appreciated—it contributes to aesthetic value. No doubt it is more difficult to evaluate an evanescent work. But using that consideration to reject their status as works is like refusing to play baseball because the balls and strikes are hard to call. To make such a fetish of objectivity is to value more highly the measurement over the experience. We don’t go to ballgames to watch the umpire; and we don’t think reading the reviews can replace the listening or dining experience. It is the evanescent quality of a dish or meal that contributes to its nature, and its appreciation is part of the experience. As an argument against the aesthetic status of food, this will not fly.